A chill in the air has brought out my fingerless gloves. 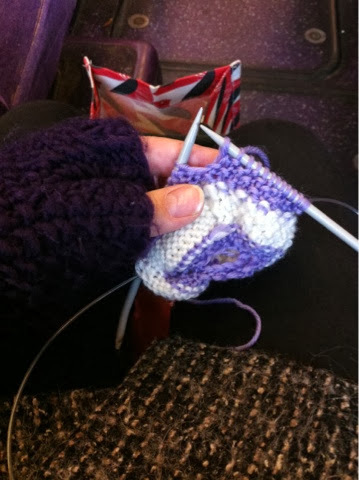 What would we public transport knitters do without them?! Not a hand made set I must admit. These were a highly appreciated gift from Aunty A a couple of Christmases ago. 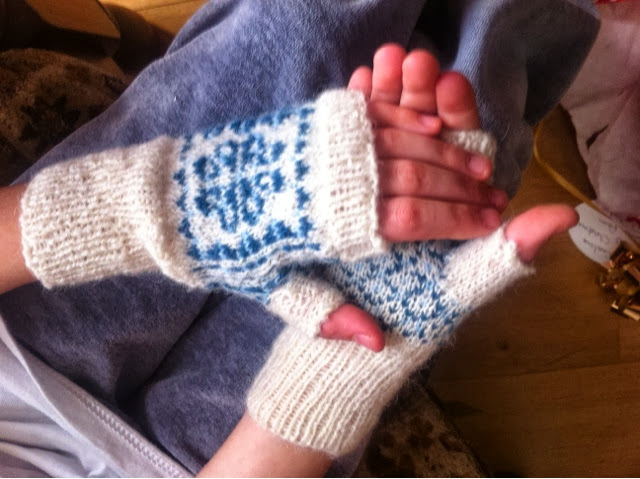 I have made only one attempt at knitting gloves/ mittens. A Christmas present for Cousin B a few years ago; my first attempt at Faire Isle and first (and only) project on DPNs. My preference being magic loop where possible. Here's how they turned out. Cousin B says they make her hands sweat but often wears them when I'm around all the same, bless her cotton socks.